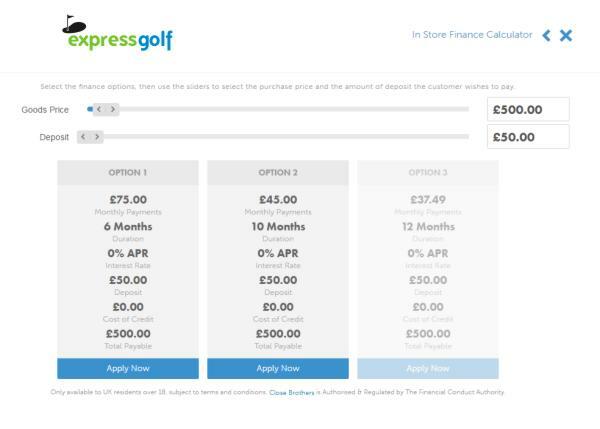 Buy a set of Taylormade Irons worth £500 and you can choose to spread the cost over 10 months. Finance is provided through Close Brothers Retail Finance and the entire application is managed online. It is quick and easy and you will receive a decision within seconds based upon the information that you provide. Once you have completed the application in-store process you will receive a decision within seconds. As soon as your finance has been confirmed you can take your good away there and then.